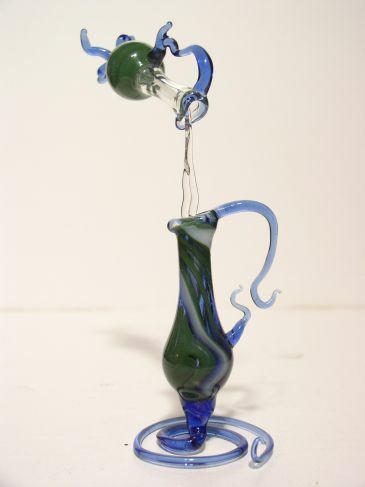 Specializing in: glass drinking straws, glass knitting needles, flamework marbles, color-changing glass incense burners, custom handblown jars, hummingbird feeders, resin incense, Nag Champa incense, herbal soaps, and oils. Click Here to see what's new this season! Buying artist-direct gives you the unique opportunity to have one of our color changing incense burners *custom made for you. Click on the torch to learn how we use pure gold and silver in our glassblowing process. Thank you for supporting an artist-owned business. We offer a wide selection of innovative and stylish wearable art: galaxy, vortex, wig-wag, montage, reversals, dichroic, inside-out, moldavite, tektite, and gilson opal encasement. gift shops, galleries, and expositions throughout the USA, Canada, UK, Tahiti, and Brazil...now you've found the direct online source!